• Membership – What led you to join LLNE? What obstacles do you have engaging LLNE? • Education – When was the last time you attended an LLNE education event? Why? • Communication – Enough? Method? • Committees – Tenure? Involvement? Experience? When: Thursday, November 15th at 9:30 a.m. Parking in the lot around the library is $1/hr paid via a pay-by-phone mobile app. Here is more information regarding parking and a map. When available, street parking around campus is free. Attendees should ask for the room at the Main Desk and staff will direct them to the room. Thank you to Jessica de Perio Wittman, Law Library Director and Associate Professor of Law, University of Connecticut School of Law, for graciously agreeing to host the meeting and providing light refreshments. Traveling to the meeting? Directions are Directions to Quinnipiac Law North Haven Campus for LLNE Local Visit Meeting. When entering the library on the second floor stop at the Circulation Desk for directions to the room. Thank you to Ann DeVeaux, Director of the Lynne L. Pantalena Law Library, for graciously agreeing to host the meeting. For a list of other visits on Bob’s listening tour, check out LLNE Listening Tour. The deadline is Friday, July 10th, so register today! We’re looking forward to seeing everyone! The LLNE Executive Board recently sent a letter to the Chair and Vice-Chair of the Vermont Senate Appropriations Committee to ask them to avoid budget cuts that would result in the closure of the Vermont State Law Library. We will keep you posted! Has it already more than a month since the Fall meeting? This morning’s dark, snowy walk to the MBTA says yes. Looking back, the folks from Boston College Law Library and the Association of Boston Law Librarians did a great job as hosts. The meeting was held at BC’s Connors Center, in quaint Dover, MA. Attendees were treated to a day of panels and discussion focusing on ways to reinvent the law library. We heard from many different stakeholders in the continued success of law libraries, including law firm librarians, judicial law librarians, academics and attorneys themselves. Of course, none of it would have been possible without the support of the meeting’s sponsors. Speaking of meetings, have you been thinking “I get so much out of the LLNE seasonal meetings, but I wish for once the theme would be…?” Have you ever wanted to invite a hundred law librarians over to your organization for a day of learning and lunch? Here is your opportunity – the Education Committee is looking for a host for the Spring 2016 meeting! Let one of the Education Directors (Elliott Hibbler or Bob DeFabrizio) know if you are interested in hosting. No one would say it is an easy commitment, but you will have the Education Committee backing you up all the way. If you have an interest in mindfulness, you don’t have to wait long for an LLNE meeting about the topic! The University of New Hampshire School of Law and the Association of New Hampshire Law Librarians will be hosting the Spring 2015 meeting in Concord, NH on April 24th. I am already looking forward to it! We are pleased to welcome Tiffany Camp of the University of Connecticut School of Law Library as the new co-editor for LLNE News, along with Kyle Courtney. 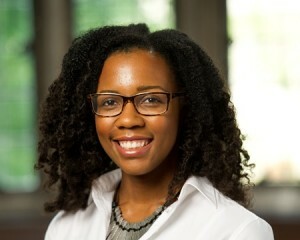 Tiffany is in the Access Services department and has worked at the UConn Law Library since 2012. She has also worked at the Hartford Public Library as a branch manager. She graduated from the University of Virginia and received her law degree from UConn Law. Tiffany is also a member of AALL’s Black Caucus (including its Community Service Committee) and is the Scholarship Chair of SNELLA. She has already had a good start in her communications role for LLNE as she took fabulous pictures at the recent LLNE Spring meeting hosted by UConn Law! You may reach Tiffany at tiffany.camp@law.uconn.edu or 860-570-5113. Drop by and say hello if you see her at the Fall meeting at the Boston College Law Library and definitely let her know if you have anything that you would like to include in a future issue of LLNE News. Posted on May 26, 2014 June 29, 2014 Author Michelle PearseCategories Committee News, LLNE business, LLNE News, LLNENews, UncategorizedLeave a comment on Welcome to Tiffany Camp! The Nominating Committee is pleased to announce the following slate of officers for the coming year.